A grey old day for January’s EoMV, which is a shame, as Saturday was beautiful – but then I was far too busy digging to take photos! Over the last two weekends I’ve finally got out in the garden after an absence of at least a month. However, in many ways, the work has seen me going backwards to go forwards. 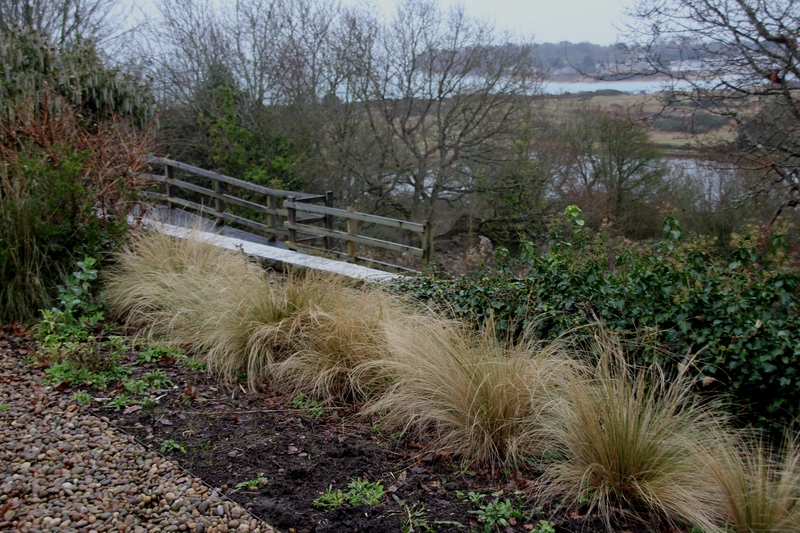 The final bulbs, Allium sphaerocephalon were bought for the two Lavender Beds, but as both were full of Convolvulus, Couch Grass and generally past-their-best plants, a big dig was called for before I could plant them. 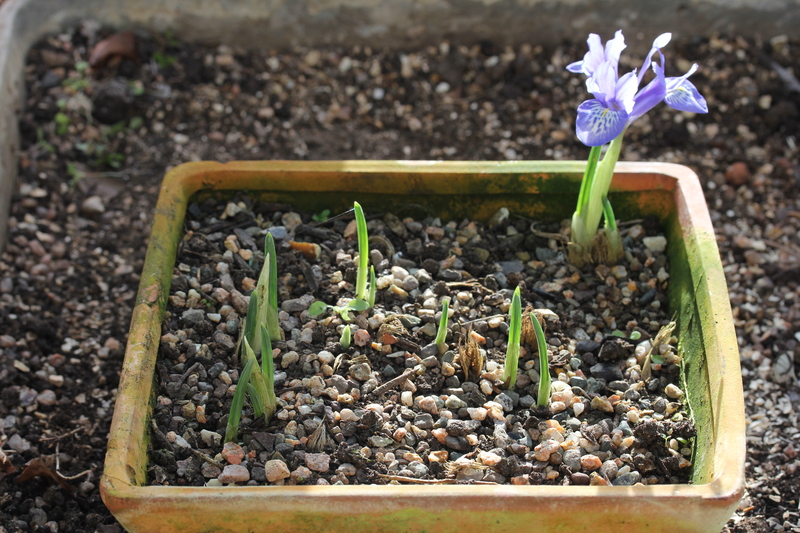 Happily the digging was dug and, although you can’t see them, the bulbs are in. The good news is that there are now large new areas of bed to ‘play’ in, but that requires thought and planning, both of which take time, so no firm plans as yet. 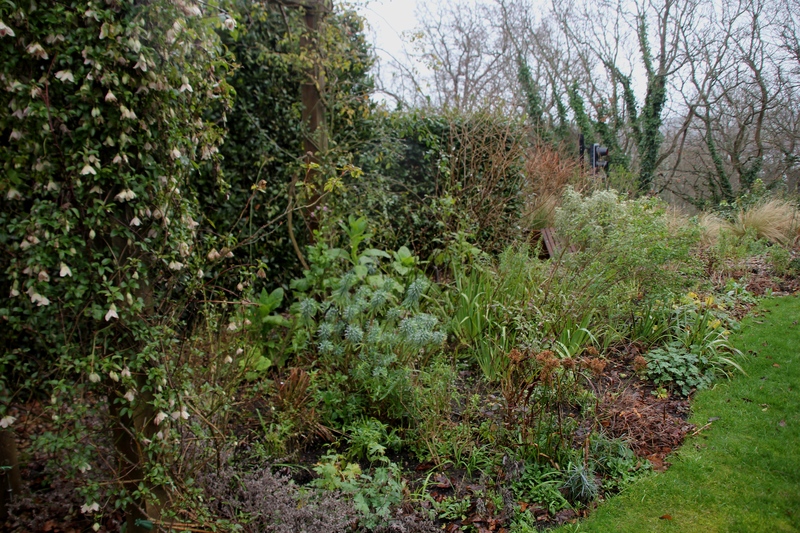 One thing I have mentioned before is the desire to move the Acacia baileyana purpurea from the Mid Century bed and I’d like its new location to be in the left hand Lavender Bed, in the centre of this photo (in front of the Choisya, which I think I’ll remove). The problem is, when to do the deed? 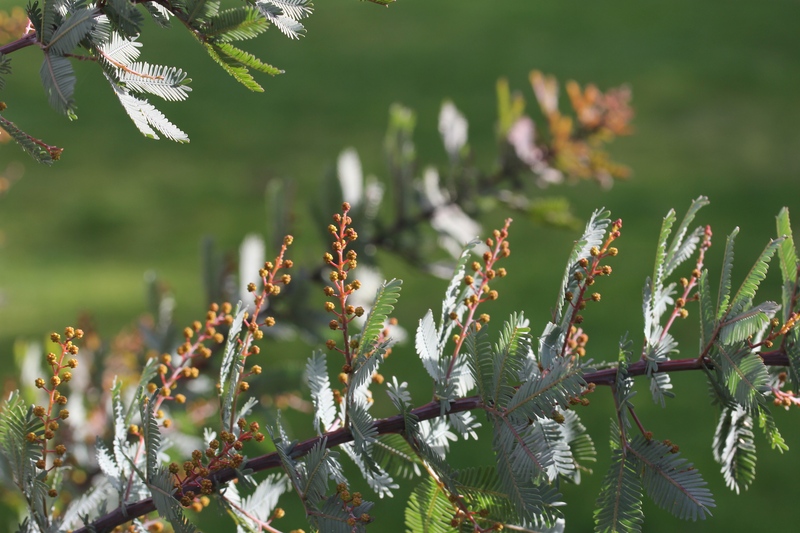 Now would seem a sensible time to move many plants, but the Acacia is on the cusp of bursting into bloom for the first time, so now doesn’t seem exactly conducive. Thoughts? 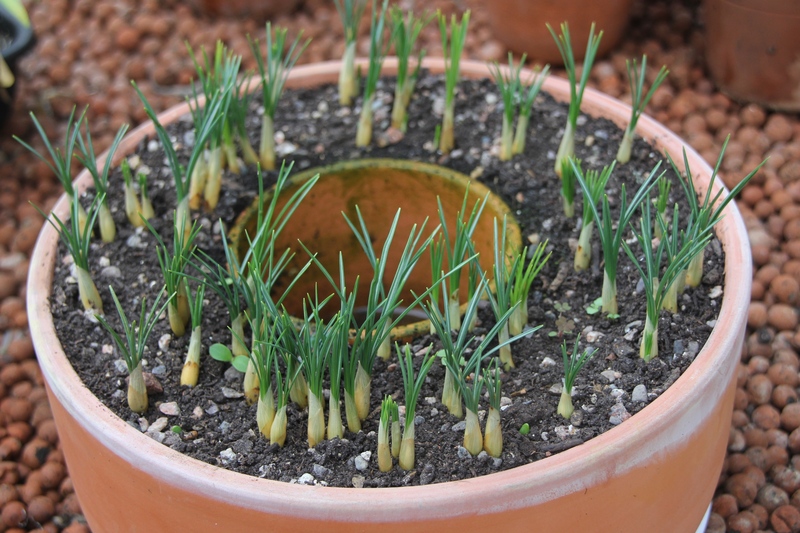 Further round the garden, more bare earth tells of more activity – I finally pulled the old, very leggy Matthiola incana (Stocks) out of the troughs and replaced them with these cuttings taken from the ‘mother’. These have been in pots for a while, so I’m not sure how long they’ll take to find their feet. They look pretty pathetic at the moment! 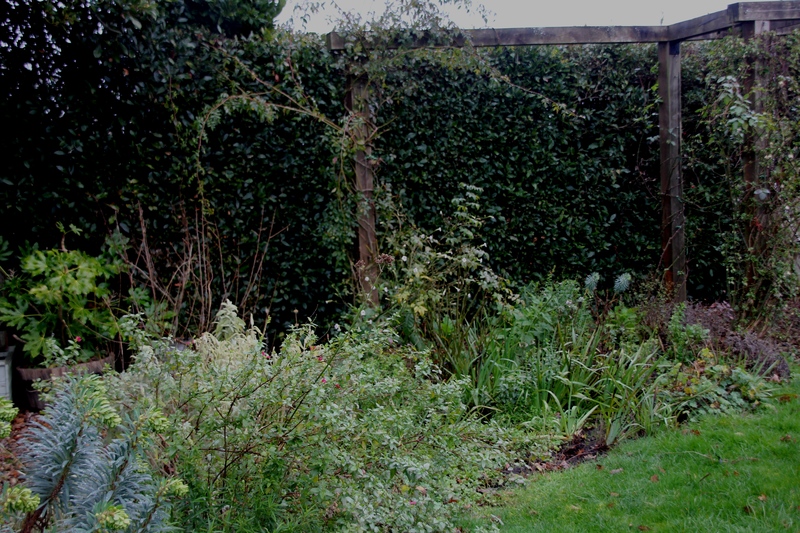 The two Swing Beds are still quite green but everything needs a good cut back and tidy up. 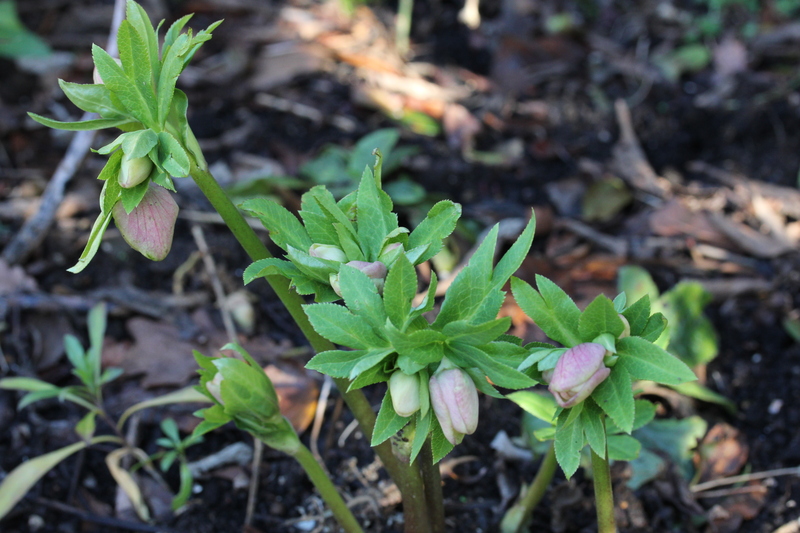 I’ve read it’s better to wait to do this until the temperature picks up as the old growth protects the newer shoots, particularly on tender plants such as Salvias and Penstemons. Well, that’s my excuse. In the Grass Bed, more bare earth after a big clear out last year. This is a bit of a shame as I’ve previously had masses of Forget me knots here and I’ll miss them. 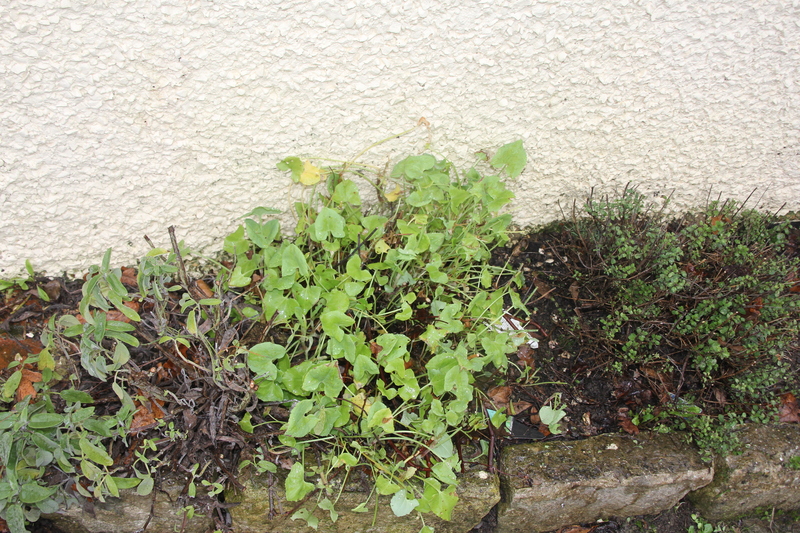 I had a tidy up of the Herb Bed yesterday and whilst most are looking understandably tired, the Sorrel is looking fresher and more productive than ever. Any recipe suggestions? 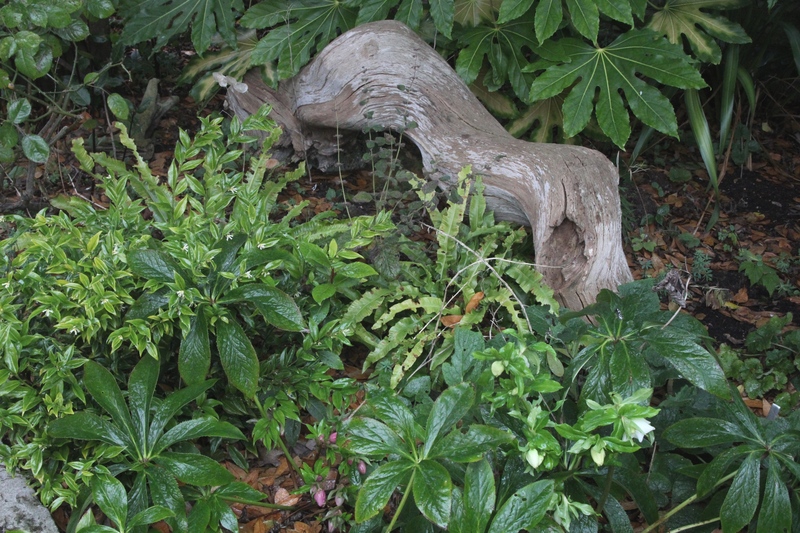 The Shady Bed is exhibiting a good showing of glossy foliage. I’ve never noticed before how the Fatsia japonica leaves echo the Hellebores. 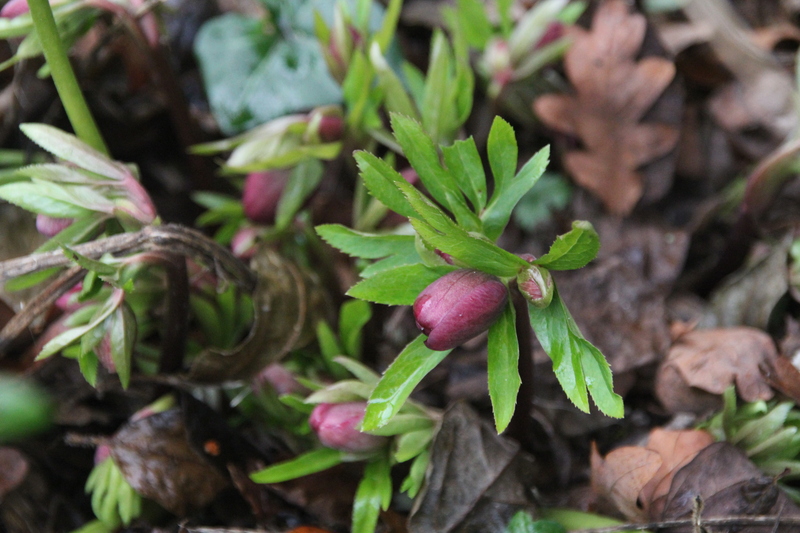 To the left of the Hellebores the Sarcococca is flowering, picking up the white of the Hellebore to the right. Shame the fern in the middle is so chewed! 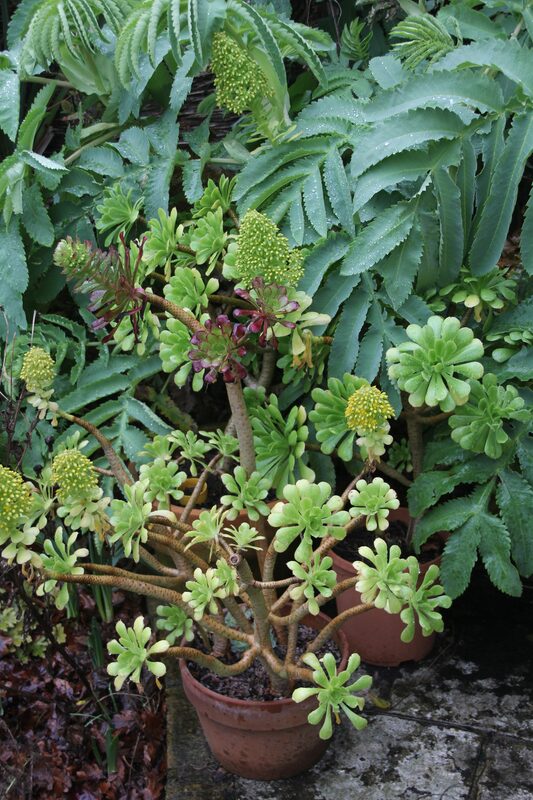 whereas at the end of the Bronze Bed a far more exotic scene of flowering Aeoniums in front of luxuriant Melianthus major foliage. and this. 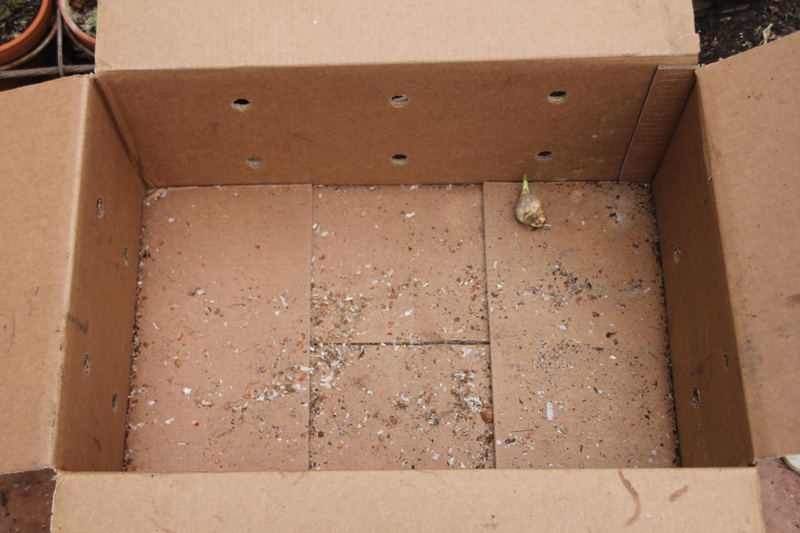 Finally, an empty bulb box! And to finish, my Rosemarinus prostratus. I mentioned in GBBD how it wasn’t very ‘prostratus’, time to eat my words! 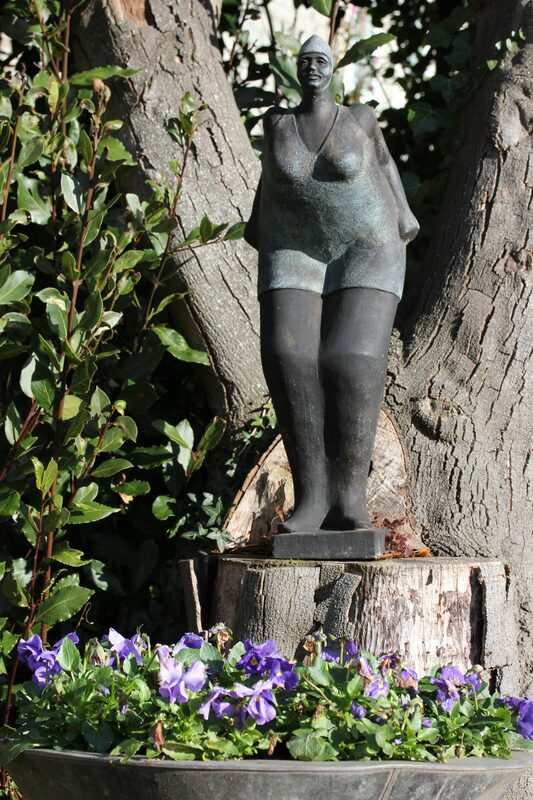 With thanks to Helen at the Patient Gardener who hosts EoMV. 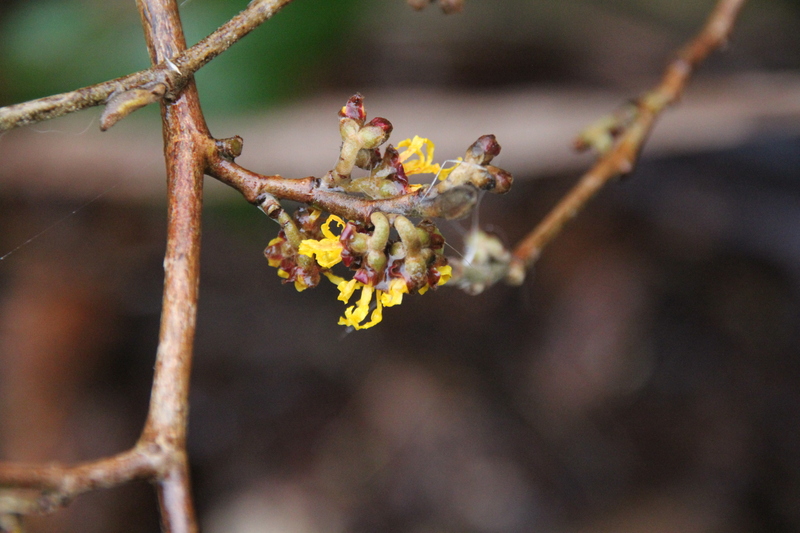 This entry was posted in End of month view and tagged Acacia baileyana purpurea, Aeonium, Allium sphaerocephalon, Fatsia japonica, Hamamelis Arnold's Promise, hellebore, melianthus major, Rosmarinus prostratus on January 31, 2017 by jenhumm116. Amazingly, despite the recent freezing weather, I still have a number of the annual Nicotiana mutablis flowering in the Swing Beds (the one above caught up in the bare branches of the Elaeagnus). and neighbouring Rosa ‘Berkshire. Note the matching pink stripe on the Phormium – I can’t take credit, both were inherited! In addition to Erysimum Bowles Mauve I currently have this pair in flower. 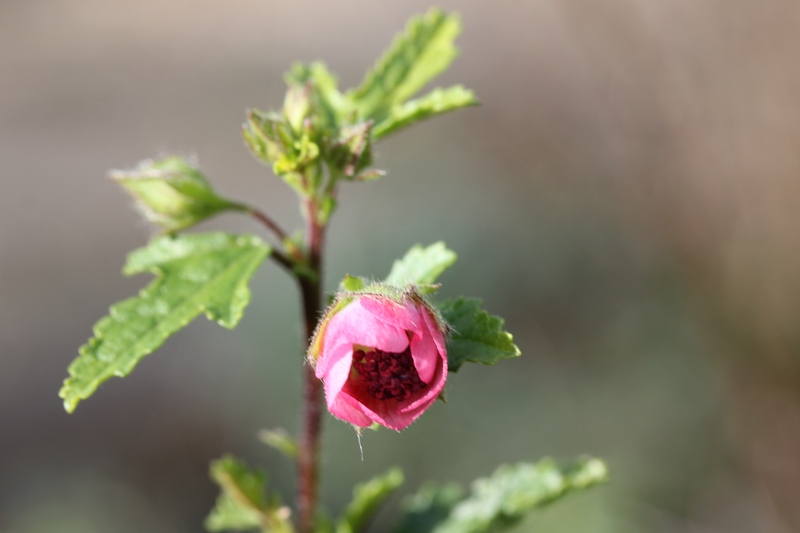 The first one E. ‘Red Jep’ was bought last year after I’d admired it so much when I visited Hyde Hall. 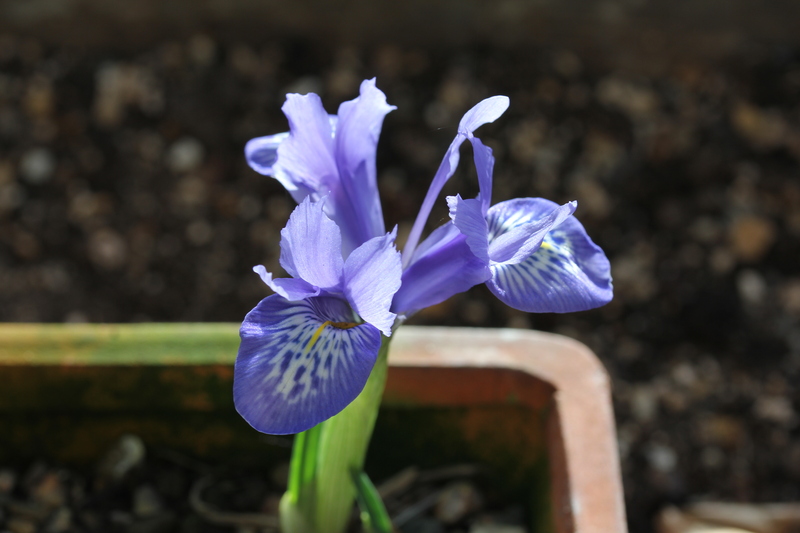 The second rather yellow one was grown from seed, and I think is E. Ivory Giant. 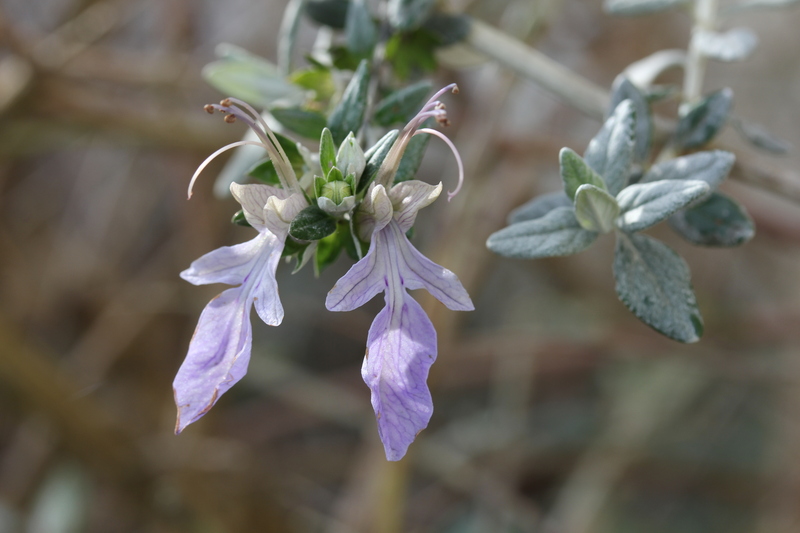 By the front steps the Rosmarinus prostratus is covered in blooms, but is hardly looking very ‘prostratus’. 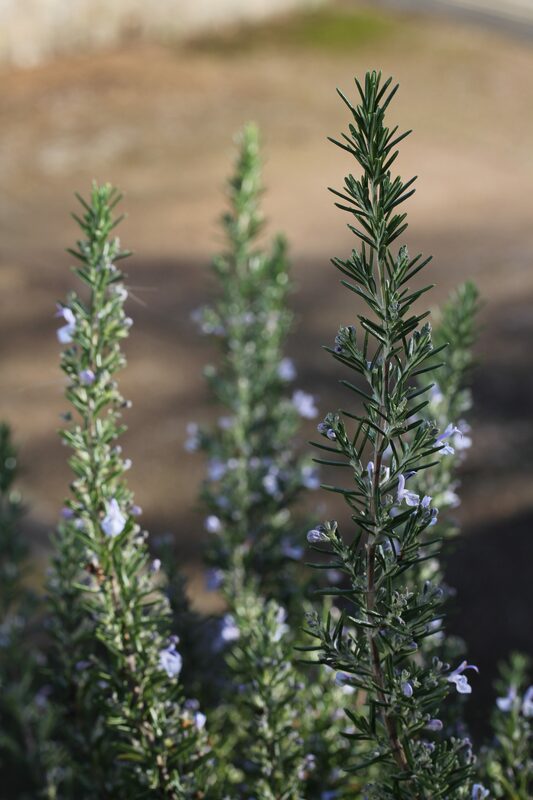 And whilst I’m chuffed to see Rosemary’s Babies are also flowering, I’m not entirely sure what I’m going to do with them….. This Teucrium fruticans plant is really very woody but seems to have responded quite well to a severe hack back last year. Similarly this Anisodontea capensis is also past its best, with the stem currently tied to a post to prevent it falling over. 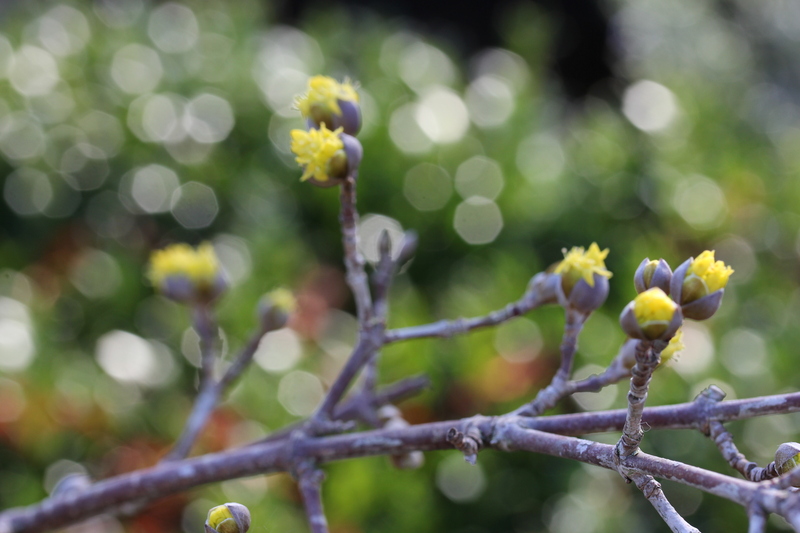 It’s a beautiful shrub when happy in the sun, but mine’s definitely showing its age (I know the feeling). There’s nothing in the Veg Patch for the Diving Lady to admire except some rather scruffy kale, so I’m glad she’s still got a pretty pool. 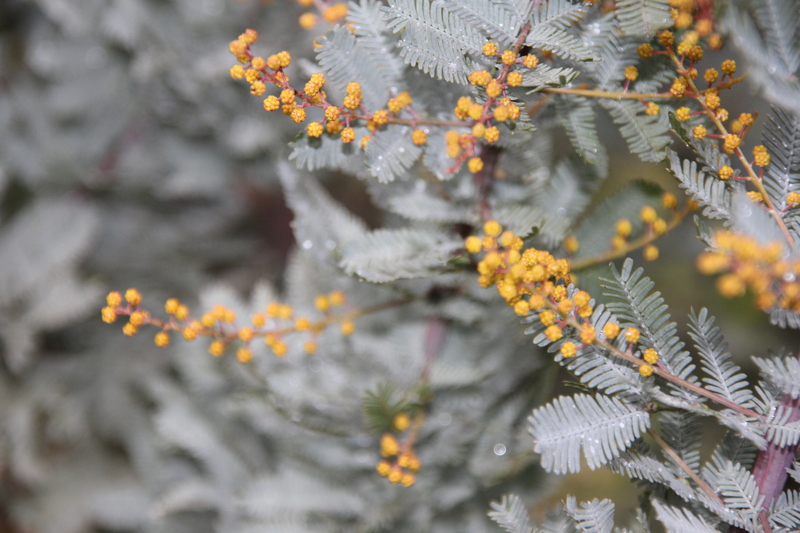 In the Mid Century bed the Acacia baileyana purpurea looks like it’s going to flower for the first time. It’s a lovely little tree with gorgeous foliage, but I really don’t think it’s in the right place and will have to go. But where to move it? and a couple more Pelargoniums. if only she had some friends! With thanks to Carol at May Dream Gardens who hosts everyone’s GBBDs. 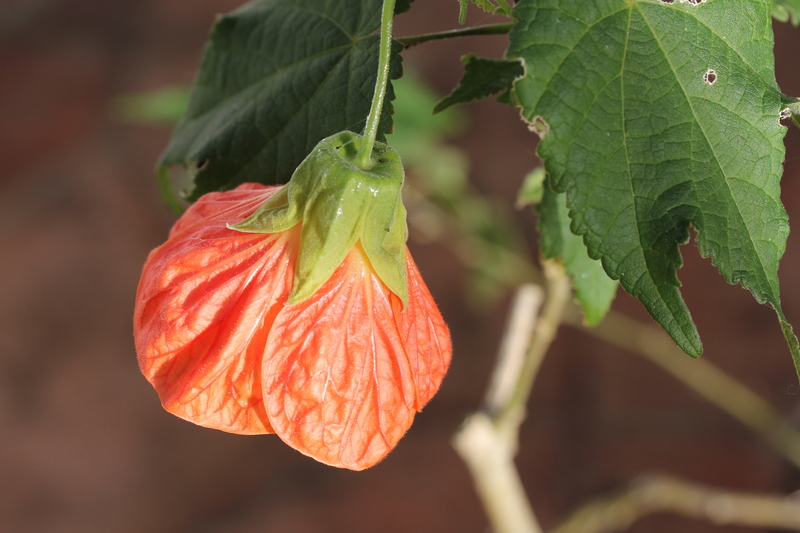 This entry was posted in Garden, Garden Bloggers' Bloom Day and tagged Abutilon Orange Marion, Acacia baileyana purpurea, Anisodontea capensis., Clematis cirrhosa 'Freckles', Elaeagnus Quicksilver, Erysimum Ivory Giant, Erysimum Red Jep, Gazania, hellebore, Iris histrioides 'Lady Beatrix Stanley', Nicotiana mutablis, Pelargonium Surcouf, Rosa Berkshire, Rosa St Swithun, Rosmarinus prostratus on January 15, 2017 by jenhumm116. 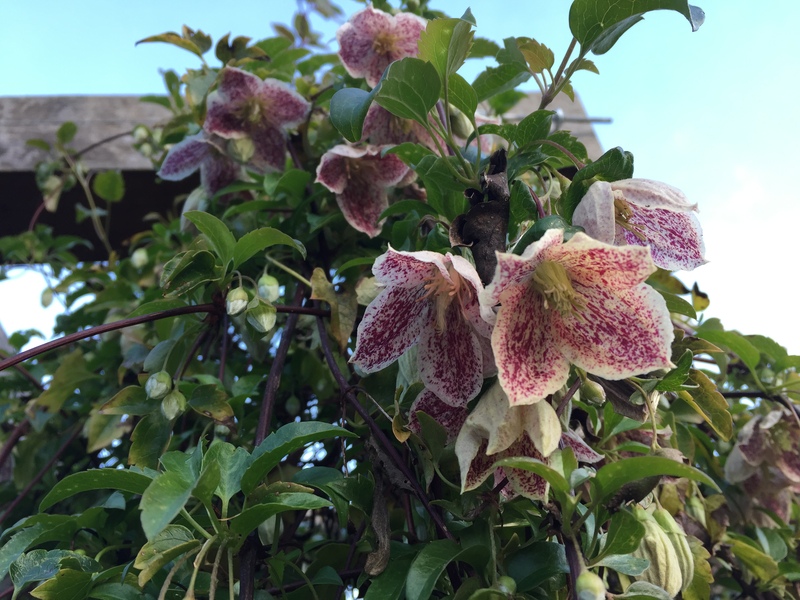 As ever, there have been successes and failures in the garden this year, but, as other bloggers have commented, having a garden to escape to (and even just think about) I find a great source of solace in a challenging world. and here the Mid Century bed. There were still some returning tulips in the Swing Beds, but they were definitely depleted, so I’ve recently planted some more. Later in the year I felt the beds lacked the cohesion that massed bulbs provide, so for the summer of 2017 I’d like to move towards larger clumps of fewer herbaceous varieties, but it’s oh so difficult to edit! I still grew plenty of plants from seed with some lovely successes, firstly the ‘Winter Sunshine’ Sweet Peas, which, grown in the greenhouse, started flowering in the first half of April. and in July I was very chuffed with the display from my seed grown Agapanthus. I tried a number of new dahlias, but suffered from the gardening equivalent of my eyes being too big for my stomach, and a number ended up in pots where they ultimately weren’t very happy, but there were some gorgeous blooms early on. There were some pleasing planting combinations too (some accidental, let’s be honest!) but they tended to be on quite a small scale, rather than a whole bed, so again, room for improvement. For the first time I had bees in the garden – Red Mason Bees, which don’t supply honey, but are endangered, so it was good to give them a home and is something I’ll repeat in 2017. I thoroughly enjoyed contributing to Cathy’s meme ‘In a vase on Monday.’ Despite not having access to the Cutting patch I’d created in a neighbour’s plot in 2014 and 2015, I managed to find blooms in the main beds and enjoyed the challenge of bringing them together. I posted fewer ‘Duver’ posts (the name of the National Trust land opposite the house and hence name of the blog) this year, but it continues to be a beautiful area to walk which changes daily with the seasons and weather. Away from home I visited LOADS of gardens. I hadn’t realised how many until I looked them up for this post. 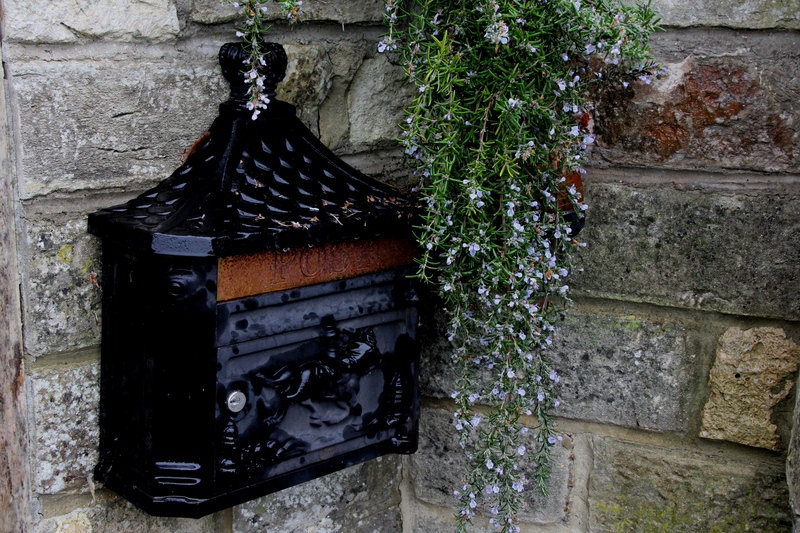 (There were well over a dozen so I haven’t bothered to add all the links, but the posts are easily found by searching either the garden name or the ‘Garden Visits’ category). 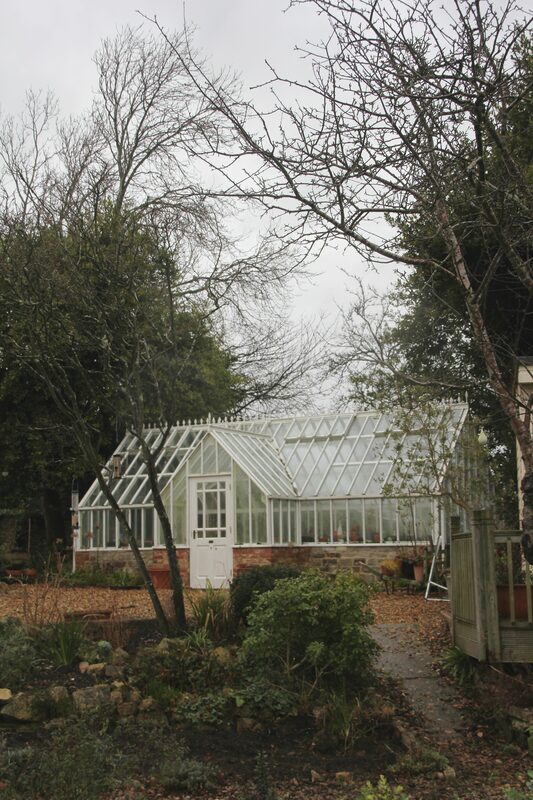 On the learning front, I took a Propagation Course at West Dean, and continued with the second year of my Level 3 Certificate in Garden and Planting Design course at Capel Manor college. And, just as at the end of last year’s round up, I really should stop blogging and crack on with my latest college assignment. Perhaps in 2017 I’ll find time to put some of the knowledge into practice! Wishing you and yours a fabulous, flowery 2017, and thank you so much for supporting Duver Diary with your views, likes and comments. This entry was posted in Yearly round up on January 1, 2017 by jenhumm116.